After giving us some audio “Work” last week with the homie Problem, rapper QUE. continues his recent trend of street-oriented rhymes in the 4th quarter. 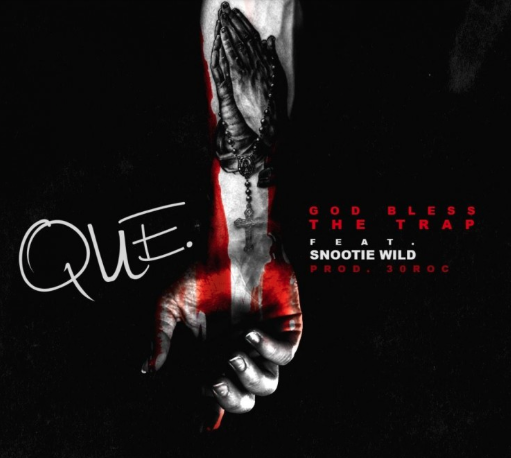 With production from 30Roc, the Atlanta rapper calls up fellow rising newcomer Snootie Wild for his latest drop “God Bless The Trap.” If you’ve had his Can You Digg It? mixtape in rotation since its summer release, look for QUE.’s much-anticipated 6th Man project to arrive before the year closes.